Any big businesses waiting to get their hands on Microsoft’s Surface Hub videoconferencing systems are facing disappointment yet again. The displays, which were originally unveiled back in January, were meant to ship in September but were later pushed back to January 1, 2016. Now, the company is delaying the release date yet again - and the prices are going up, too. The device uses the Perceptive Pixel technology Microsoft bought in 2012 and is designed as an all-in-one replacement for conference room equipment such as projectors, webcams, speakerphones, etc. The Windows 10-powered, wall-mounted display also offer Bluetooth, NFC, pen input and 100 points of multitouch built into the two 1080p 55-inch and 4K 84-inch models. Microsoft said the first delay was because the Surface Hub proved “too popular” for the original manufacturing plans to keep up with demand. The new statement says: "we are still on track to ship the first Surface Hub devices to customers earlier next year,” but a spokesperson told ZDNet that it will be sometime within the three month period of Q1 2016, rather than January 1. 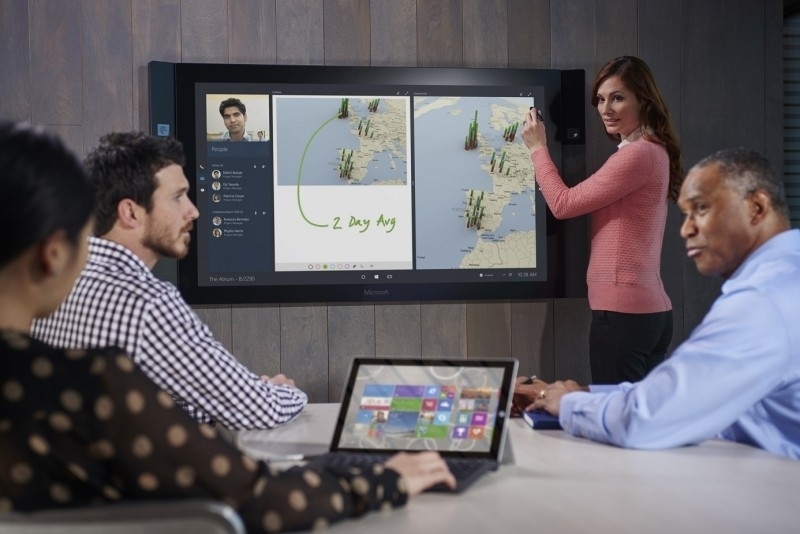 In addition to the new delay, the prices of the two Surface Hub models are increasing. The 55-inch model, which was previously available for $6,999, is now $8,999; the 84-inch version, originally $19,999, is now $21,999. It’s worth pointing out that anyone who pre-ordered the device at the original price won’t have to pay any more for it, as the updated price only applies to new orders.